A short 10 minutes drive to the Airport, Paragon Inn is certainly worth considering for business travelers. The reasonably priced breakfast offers you a wide variety of options. The rooms are well appointed, and the Wi-Fi facility is an added advantage. 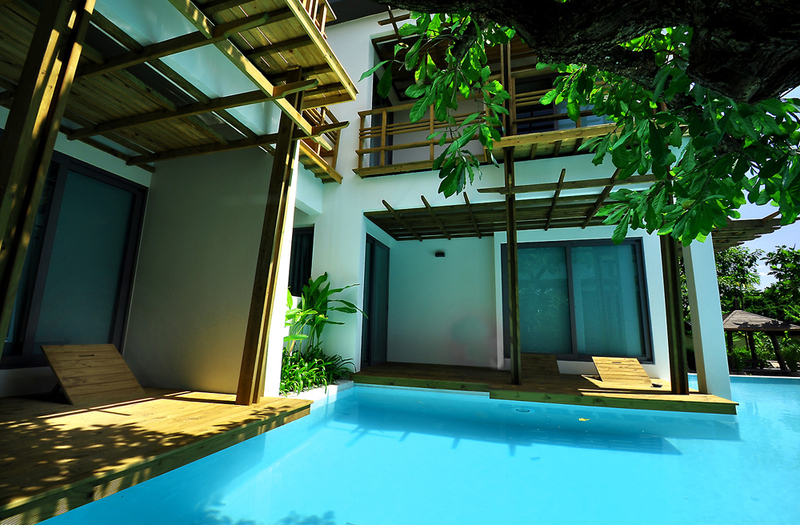 You can indulge in the swimming pool if you have sufficient time to relax before your next flight. Paragon Inn Bangkok, a modern boutique hotel, is located in Lat Krabang area of Bangkok. The 4-star property, which is a blend of ancient architecture and contemporary facilities, is 4 km away from the city center. The hotel is best known for its outstanding warm-hospitality that it offers to its guests. Paragon Inn Bangkok has a magnificent infinity pool and modern rooms with free Wi-Fi service. The property is an ideal destination for all kinds of travelers. Nestled near major boutiques and a shopping mall, the hotel is quite accessible for travelers. Being a boutique hotel, Paragon Inn provides full body massage as well as a couples massage and spa lounge along with a relaxation area to its guests. It boasts of swimming pool, Sun loungers or beach chairs, Pool/beach towels, swimming pool toys, public bath, and open-air bath. Suvarnabhumi International Airport is a 10-minute drive from the property. 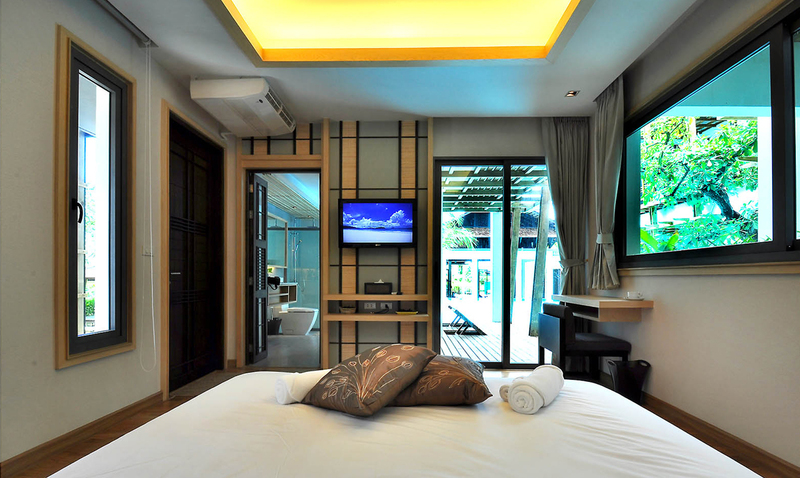 Want best Bangkok Packages with this Hotel? Paragon Inn offers 25 beautiful boutique rooms with standard facilities which include air-conditioning, a cable TV, free Wi-Fi, refrigerator, private bathroom with bathtub and shower and hairdryer. The property features rooms under various categories, including Deluxe Single Room, Deluxe King Room, Deluxe Double or Twin Room, Quadruple Room, Deluxe Double or Twin Room with Pool Access, Family Room - One Way transfer, Deluxe Double or Twin Room - One Way Transfer. Poolside rooms are featured in a modern style with large panoramic windows, scenic pool and garden views which ensure a relaxing stay to its guests throughout their holiday. Paragon Inn Bangkok offers a plethora of modern facilities and services to its guests. It boasts of a beautiful tropical garden where one can leisurely walk to get some revitalizing sensations. The hotel features a swimming pool, massage, sailing, diving, all year outdoor swimming pool, and a seasonal outdoor pool. For keeping kids entertained, it also houses children television networks and kids' outdoor play equipment. At spa lounge or relaxation area, one can get a variety of services such as massage, foot massage, full body massage, and beauty treatments. The property helps in organizing various tours, activities and water sports like golf, diving, sailing, tobogganing and many more. Further, it also maintains parking space, 24-hour front desk, tour desk, currency exchange, and luggage storage. The on-site restaurant at Paragon Inn Bangkok serves mouth-watering food and exotic drinks. The restaurant offers breakfast, dinner, and cocktail hour to its guests. It serves a daily American breakfast as well as local and Western delectable dishes. The on-site restaurant offers all kinds of seafood, Thai, local, and Asian cuisines. Its cuisine offers glimpses of the fundamental aspects of Thai culture. However, guests can always go out and explore the amazing cuisines and delicacies that Bangkok has to offer. With a rich history and culture, Paragon Inn provides an unforgettable getaway with its best services and prime location. 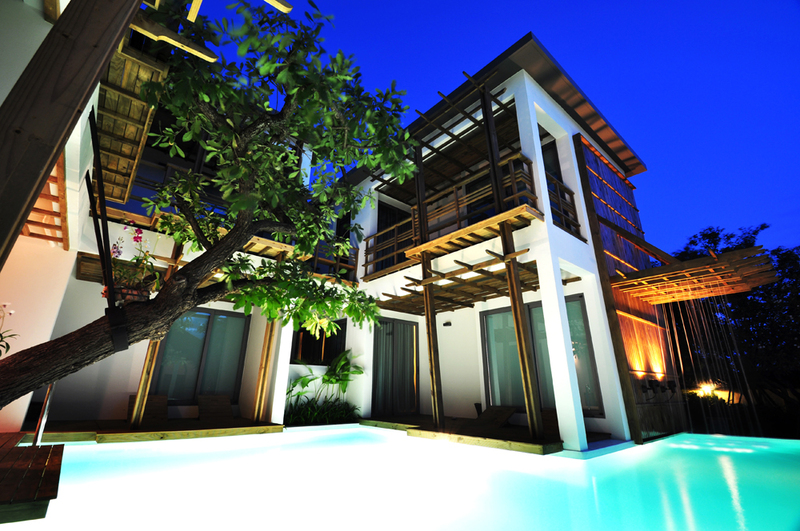 The resort-style hotel offers a relaxing stay to its guests during their vacation in Thailand. Its relaxed atmosphere is a perfect destination to enjoy a quality peaceful time in the city of Bangkok. How far is Paragon Inn from the international airport? Paragon Inn is a 10-minute drive from Suvarnabhumi International Airport. Does Paragon Inn offer pickup from the airport? Yes, the hotel provides airport shuttle service to its guests but at an additional cost. How can guests spend their time at Paragon Inn? Paragon Inn offers various activities such as golf, diving, sailing, tobogganing and many more. When comes to peaceful time at the hotel, one can enjoy at spa lounge and relaxation area within the premises. Does Paragon Inn provide facilities for kids? Yes, the hotel maintains children television networks and kids' outdoor play equipment. What are the check-in and check-out timings at Paragon Inn? The check-in timing at Paragon Inn is 14:00-23:30 hours and the check-out timing is 04:00-12:00 hours. The luxury 4-star property is an ideal destination for a relaxing stay in the city of Bangkok. Paragon Inn features beautiful scenery with an outdoor pool and a tropical garden area. As this hotel is surrounded by vibrant greenery and soothing ambiance, one can enjoy the stunning views of the outside areas. Guests can enjoy the taste of mouth-watering dishes at the on-site restaurant which offers all kinds of Thai and Asian cuisines. Further, the property offers a number of activities to keep children entertained. Baby safety gates and Babysitting/child services are also provided. Besides, one can also join classes about local culture organized by the hotel. The guests have endless ways to unwind at this property as it offers spa lounge and relaxation area. Other facilities that the resort-style hotel offers include a restaurant, room service, free Wi-Fi internet service, dry cleaning, business center, commercial services, laundry, airport transfer services, parking, non-smoking rooms and many more. The hotels relaxed atmosphere is a perfect destination for those who want to escape from everyday chaos. Oberry Resort (Company Oberry Property Co., Ltd.).